April was a dangerous month for Arizona residents. Several auto accidents on state highways resulted in fatalities and injuries. If you have been injured in a car accident contact one of our leading personal injury attorney today for a free legal consultation. One such accident happened April 21 on Interstate 17, according to azcentral.com. The news website reported that the crash occurred when an 18-year-old Phoenix woman drove into the median on the highway and her car collided with another vehicle on the southbound side. She and her passenger, a 19-year-old Scottsdale woman, were thrown from the car and killed, the site added. Three passengers who were in the car with the young women were later treated for injuries at a hospital, Naztoday.com noted. This wasn't the only deadly accident on an Arizona highway in April. On April 18, there was a fatal head-on collision on State Route 69 in Prescott Valley, Ariz, azentral.com reported. A 39-year-old man drove a Ford F-350 pickup truck into oncoming traffic and collided with a Chevy Impala, the news site wrote, adding that the 69-year-old man in the Impala was killed as a result of the collision. The man driving the truck was flown to a Phoenix hospital and is listed in serious condition, Kaff News said in an article about the crash. Statistics from the Arizona Department of Transportation show that 12.87% of the motor vehicle crashes in Arizona in 2013 resulted in fatalities. Were You Injured in an Auto Accident in Arizona? Contact the Phillips Law Group. Our Phoenix car accident lawyers can help. We can help you fight for compensation for your injuries. That's especially important if your accident has left you with big medical bills, lost wages, and physical pain. 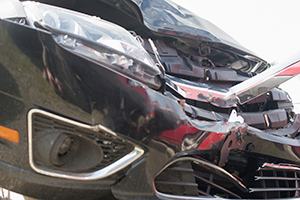 Our legal team can investigate the accident and determine if the other driver was negligent. But you must contact us before vital physical evidence is lost and before witnesses become unavailable.